With the skills of circus performers Mr and Mrs Mustard balance their animal friends as they cycle along the promenade. Having an adventurous afternoon the pack look ahead to a nice lunch by the sea, with sandwiches and meaty biscuits for the mutts. Feeling a little left out, the family goldfish joins them in this comical print, teetering on the edge of Mr Mustards wide brimmed hat. 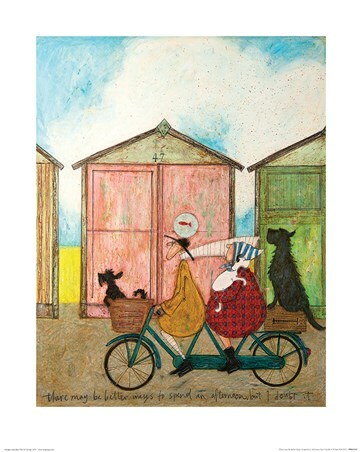 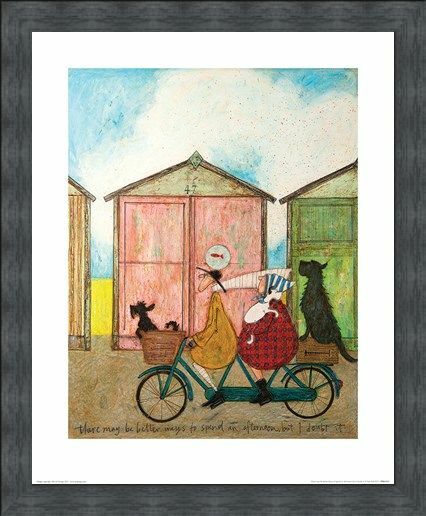 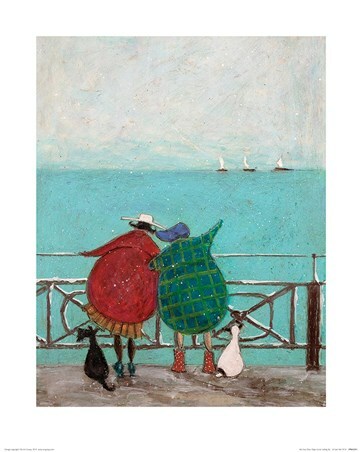 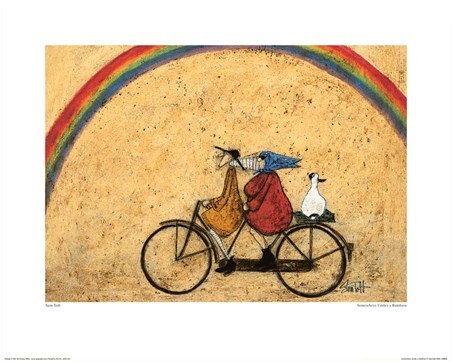 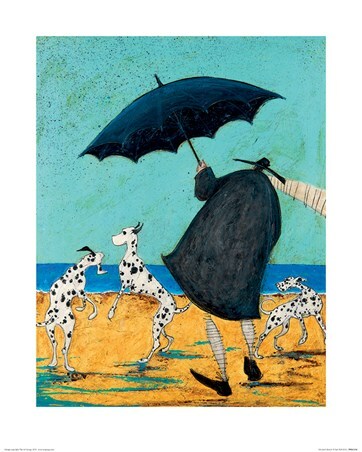 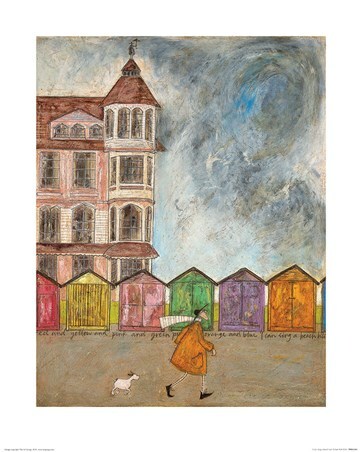 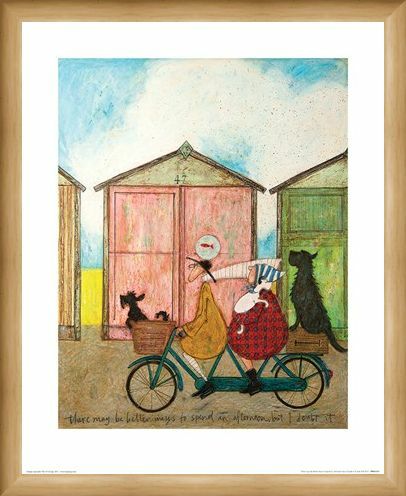 Even with clouds in the sky, this piece of Sam Toft art is sure to brighten up your home. 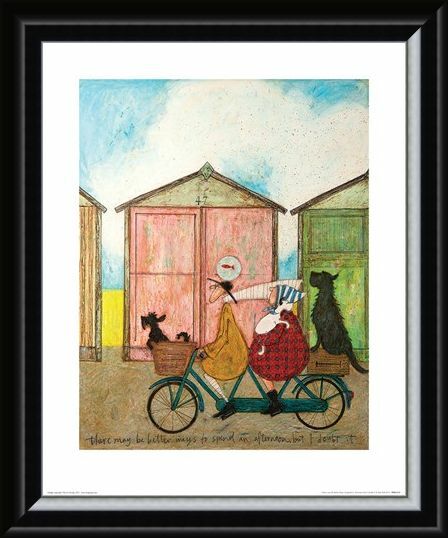 High quality, framed There may be Better Ways to Spend an Afternoon, Sam Toft print with a bespoke frame by our custom framing service.